EDMUND RICE'S NAME is increasingly being heard in the secular media today as a voice of calm reason on social justice issues. Phil Glendenning, Director of the Sydney-based Edmund Rice Centre for Awareness, Advocacy and Action, in particular has attracted national attention in the mainstream media. A Google News search will bring up twelve references to comments made by Phil in the two weeks leading up to 9th May 2005 in The Age, The Sydney Morning Herald, the ABC, Radio Australia, CathNews, and Green Left Weekly. The principle focus of attention in this period has been refugee detention policy, the mistaken detention of Australian citizens as refugees, and the expulsion of 50 East Timorese asylum seekers who have been living in Australia for a decade. The day after the Federal Government announced the expulsion order, Mr Glendenning pointed out that the rebuff comes "at a time when Australian officials continued efforts to remove the oil international law recognises as belonging to East Timor into Australian hands". He says the East Timorese asylum seekers "were given no reason as to why they were to leave Australia". "Many have families here, have married here and have had children born here, and have been working and paying taxes in this country, he said. "They have been a part of the Australian community for 10 years". "They have been in Australia for a decade with minimal support and living with the daily uncertainty of not knowing what will happen to them". "Ten years is an appalling length of time to take to deal with peoples claims for asylum", Mr Glendenning said. 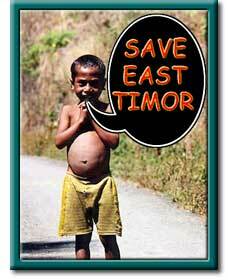 "East Timor is one of the poorest countries in the world where people live on less that $1 a day. Xanana Gusmao has appealed that Australia allow the East Timorese to stay at least until his country is on its feet economically, which is clearly not today". "In a week when Australia paused to observe the sacrifices made by previous generations in war, we must not forget that thousands of East Timorese people died in World War II protecting this nation. They are now seeking our protection. "Instead of affording that protection Australia instead prefers to take away the oil that international law deems to be East Timorese and which would offer East Timor a sustainable future". "Well might we say lest we forget". Another issue of high concern to others working in Edmund Rice Social Justice ministries has been the continuing inter-governmental negotiations over the Timor Sea Gas and Oil Resources. East Timor is of particular interest to social justice activists in Holy Spirit Province because of our proximity to East Timor and the many personal relationships that have been established through the Edmund Rice Centre for Social Justice, Fremantle, Notre Dame University, and the Save East Timor website activists. "[that] in 2003 the United Nations Development Program rated East Timor as the poorest country in Asia and among the 20 poorest nations worldwide. It has minimal industry and commerce and more than 80 per cent of the population survive on subsistence agriculture and farming. With a current annual budget of only $120 million, the East Timorese Government sees increased revenue from oil and gas reserves as a basis for economic independence and development." The Save East Timor website [www.saveeasttimor.org] can provide assistance in the various ways you can assist. Br Rob Callan has provided this update of the progress of Kubendran, a young man from Chennai, India, receiving surgery in Adelaide thanks to financial support provided by the college communities at Rostrevor and Trinity. MODERN MIRACLES! - the story so far! The first operation lasted for nearly ten hours with seven surgeons. Professor David David and his team decided to undertake the first operation two weeks after Kubendran had arrived in Adelaide from Chennai.This operation consisted of bone being taken from the hip for the face; a rib for the eye socket as well as flesh from inside a cheek for the eye socket and fatty tissue for the face. 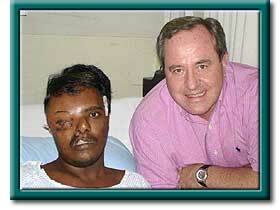 An incision was made across the head from ear to ear so that the doctors could access the face from inside. After the operation Kubendran was very drowsy from the effects of morphine to alleviate the pain. His swollen face indicated just what he had been through. My thought was that if he was prepared to undergo such pain and suffering then surely the suffering he has endured all of his life from people staring and treating him as an object of ridicule must have been much worse. Kubendran arrived with his brother Sakthiyendran from Chennai at the end of February. They have been hosted by members of the Rostrevor College community. I was fortunate enough to spend some time with them after the operation. There are still further operations to come before Kubendran returns to Chennai. We are very grateful to those members of the Trinity community who have contributed towards the cost of this special project. The Rostrever Newsletter recently suggested that we take the time to send an email occassionally to the guys working at the front line in Africa. WHILE LOCAL REPORTS give the impression of a diminishing presence of Christian Brothers in our midst, Africa presents a very different picture. The growth of the Order in Africa is quite phenomenal, with 140 brothers in training and not yet finally professed. This expansion has come about in part because of the dedication of many Australian Brothers working in the African region. Among these are men who have lived/worked in SA including Br Tony Shanahan (now on their leadership team), Dr John Carrigg (teaching the new Brothers), Br Laurie Negus as a recent volunteer, and Brs Trevor Gibbons and Andrew McBeath, who both spent time in some very unsettled areas of Africa. Prayers are important but also a letter or e-mail of support and friendship could help. Any school has an address book. THEIR TWO RESIDENTIAL PROGRAMS FOR 2005 are to be held in Africa and in India. 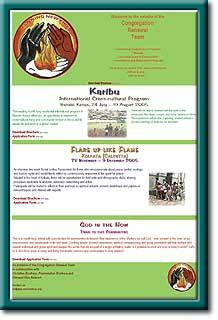 "Karibu" is an international cross-cultural program to be held in Nairobi, Kenya from 24 July to 19 August and offers an opportunity to experience cross-cultural living and community service with time to connect with the spirit of the landscape, the rituals, the people and the many cultures of Africa. Four staff members from St Paul's College, Noel Mifsud, Heather Heir, Deidre Sellars and Marie Antoinette Galletta are enrolled for this experience. The Indian Kolkata (Calcutta) experience, "Flare up like Flame" is presented from 28 November to 9 December. It is an intensive two week Social Justice Symposium for those who are passionate about peace, justice, ecology and human rights and who are keen to reflect on contemporary responses to the quest for justice. A South Australian contingent including Justin Chung, Lynne Moten, Mark Ashmore (Rostrevor), Lauren Michels (ER Camps volunteer) and Mark McGlaughlin (Province Formation) will attend the Indian gathering. 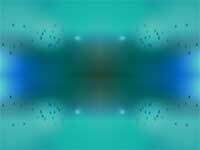 Both programs have proven very popular and there are few if any vacancies. If you are interested in such programs, keep a look out for similar offerings in 2006. "The God in the Now Retreat": Another initiative of the Congregational Renewal Team has been the presentation of Retreats in Everyday Life known as "God in the Now Retreats". This program was presented to eight Edmund Rice Network participants in February this year. The program involved weekly group work as well as weekly spiritual direction while participants continued their normal activities and work. All those involved in the retreat found it a remarkable experience. Some referred to the experience as "life changing". 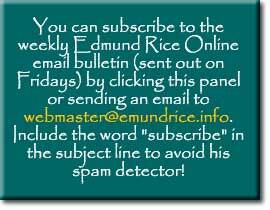 Further information can be found at www.edmundrice.org/crt. Phil Glendenning of the Edmund Rice Centre for Social Justice made the comment that when Australia deports people, "it has not got a clue of what happens to them," following last week's revelation of the deportation of an Australian citizen whom the Department of Immigration believed was an illegal immigrant. The St Patrick's Province Leadership Team is one of many groups within the Edmund Rice family to send blessing to all the Brothers and fellow workers in the shared ministry, for Thursday's Founder's Day, or Feast of Blessed Edmund Rice. A Rotary-funded project run by Br Olly Pickett of the Xavier Province (Qld/NT) has produced and distributed 5000 wheelchairs in the past five years to developing countries worldwide. After years of hoping to be in Rome for a papal funeral and the election of a new pontiff, outgoing Province Archivist Br Peter Fogarty left Rome the Tuesday before John Paul's death. Br Julian McDonald of the St Mary's Province has written a reflection for the 6th Sunday of Easter in which he alludes to the 1991 Peru execution of Australian Sr Irene McCormack, and the killing of US nun Dorothy Stang earlier this year. The Christian Brothers at Strathfield in Sydney have made land available to the Edmund Rice Centre for Justice for the planting of a small community garden based on the values and principles for a sustainable future outlined in the Earth Charter. Phil Glendenning, Director of Sydney's Edmund Rice Centre for Awareness, Advocacy and Action, this week attacked the Federal Government for ordering 50 asylum seekers who have been living in Australia for a decade, to leave the country within 28 days. Writing to congratulate Pope Benedict XVI on his election, Christian Brothers Congregational Leader Br Philip Pinto has expressed the hope that that the ministry of the new pope will be seen as a "sign of unity". Br Maurice Carthage Clarkson, a trained psychologist who was former school principal and Director of the Teachers ' College in St Patrick's Province (VIC/TAS), died early yesterday morning. POPE BENEDICT XVI: WHAT'S IN A NAME? Sr Patty Fawkner, Director of the Uniya Jesuit Social Justice Centre in Sydney, has said that the name chosen by a Pope gives an indication of the direction and style of his pontificate. The Edmund Rice Centre for Justice and Community Education in Sydney is holding a workshop to explore ways of acting to implement the international Earth Charter. Last month, nurses and health care assistants working in Queensland Catholic Schools in the Edmund Rice tradition met to network and share experiences during a professional in-service. The Newsletter of the Christian Brothers' Agricultural School at Tardun in WA has reported on the success of a recent camp, at which students learned to work together in the face of various challenges. Two Sydney-based Edmund Rice organisations are looking to share the services of an administrative assistant for the equivalent of three days a week. FORUM FOR "A CHURCH THAT WON'T BE SILENCED"
The Edmund Rice Centre in Sydney is co-sponsoring a forum next month that is described as "one of the biggest coordinated gatherings of Christian social justice groups in recent memory". Visiting Jesuit social ethicist John Coleman spoke at the University of Western Australia on Wednesday night, arguing that globalisation presents ethics with new challenges and argues for 'globalisation of morals'. Fair trade has the potential to lift millions of people in developing countries out of poverty, but unfair trade rules are making millions of people even poorer, according to Br Brian Bond, who edits the Edmund Rice Justice Bulletin. The St Patrick's Province (VIC/TAS) has planned a retreat based on the medieval Christian Labyrinth symbol at its Amberley Conference Centre. An in-principle decision to rechannel the Christian Brothers' energies towards overseas missions was affirmed at a meeting of the Brothers' Australian and New Zealand leaders in Brisbane last weekend. PROVINCE COMMENDS VIEW OF POPE AS "JUSTICE CHAMPION"
The St Mary's Province has made a point of distributing Bishop Christopher Saunders tribute to Pope John Paul II in which he calls the late Pontiff a 'pilgrim of peace' and a 'champion of justice'. The Australian Catholic University has conferred a Doctor of the University on Fr Cyril Hally, Columban missionary-anthropologist, former student of St Kevin's College, Oamaru (NZ), and friend of the Edmund Rice Network. The Board of the Holy Spirit Province's Edmund Rice Centre is seeking a person with a passion for social justice and an entrepreneurial spirit to fulfil the new role of Director. The committee preparing the Shaping Our Future 2006 Conference has reported on its February meeting, stressing that the restructure of the Christian Brothers in Oceania is the responsibility of the Congregation Leadership Team, but all the Brothers of the region have a right to information and their say. In May, St Patrick's Province will host a visit by Daire Keogh, an Irish historian with particular interest and expertise in the life and work of Edmund Rice. LONG-TERM DETAINEE RELEASE A "REASON FOR EASTER HOPE"
The Edmund Rice Justice Bulletin last week welcomed the recent announcement that some long term detainees will be given conditional releas into the Australian community, as a reason for 'Easter joy'. The National problems of an ageing population have real consequences for the Christian Brothers, but Br Frank Hennessy of the St Patrick's Province suggests that the high average age puts the brothers 'ahead of the game'. This year's International Novena - to be made in preparation for Edmund Rice's 5 May feast day - is to be focused on family of the wife of one of his former biographers. As part of a raft of changes in the Brothers' Rome communities, outgoing Santovetti community leader Br Stanis McGuire will return to Sydney in the middle of the year. 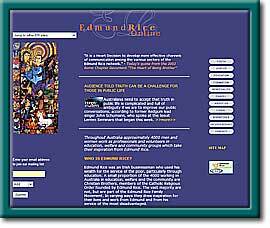 Edmund Rice Online is an initiative of Edmund Rice National Formation.